Midwife, graduate from the Medical University of Silesia, her course being BSc Obstetrics, mum of little Staś. Active participant of numerous training courses, workshops and scientific conferences. 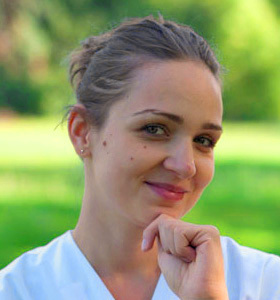 She runs the Individual Birth School in Tychy, which covers the entire Upper Silesia region. She says of herself that she is there to give strength and confidence, dispel any doubts of the future and new mothers, and answer all their questions, so the pregnancy and first moments with the little one are the beginning of the most beautiful adventure in the life of every woman.